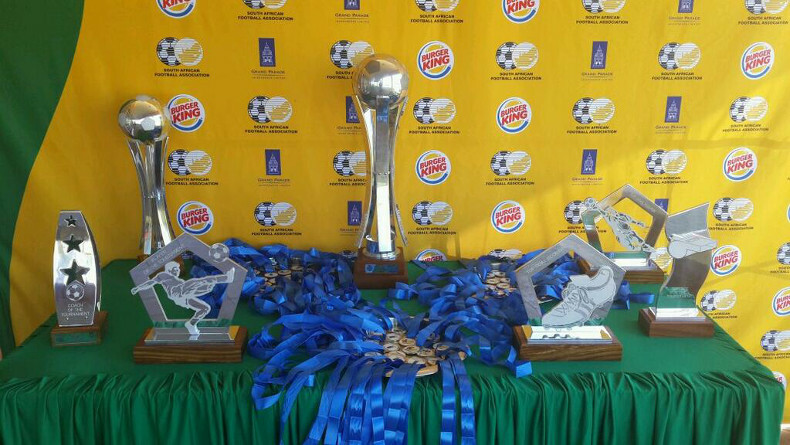 SuperSport United are the winners of the SAFA U19 Championships. They defeated Ajax Cape Town 4-1 on penalties after the two sides were deadlocked 0-0 after regulation time. The clash, which brought curtains to a close of this entertaining tournament, took place at Clive Solomon Stadium in Heidedal, Bloemfontein. The hotly contested affair which saw both sides attack each other ferociously was eventually decided on penalties. Zama Rambuwane, Kwanele Zulu, Simon Nqoi and Themba Ndzimande scored for United, while Curtley Poole found the back of the net for Ajax during penalties. Jason Britz and Justin Jacobus of Ajax had their spot kicks saved by Keegan Pool, handing United the gold medals. “I am really excited for the boys, they worked hard for it. We also went to the Bayhil tournament in Cape Town last month and were knocked out by Ajax so we brought a young team here. You could see their legs giving in but they held on. The final was tough and could have gone either way,” said United coach Kaitano Tembo, a former Supersport United defender. “Our job as coaches is to produce players and it is in tournaments like these that help us achieve our goals. Ours is not really about winning trophies but to keep the boys active. Now the next step is to assess the players as individuals to see which ones from this tournament we can take into the senior team. Ajax is producing a lot of players from their academy and that is what we want to do,” added Tembo. But for Supersport players, the victory was critical. “Ajax beat us at the Bayhill tournament, so we really wanted to avenge that defeat. It was sweet victory and I think we deserved this title because we were the most consistent team,” said United captain Denwin Farmer, who was also voted Player of the Tournament. Ajax were magnanimous in defeat. “The match could have gone either way. Both teams had chances to win the match in regulation time but congratulations to Supersport; they were worthy champions,” said Ajax coach Duncan Crowie.